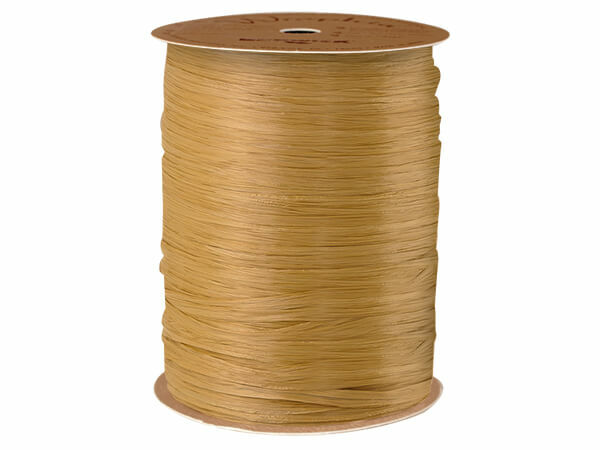 Matte Kraft synthetic Raffia on 100 yard spool. 1/4" strand expands over 1-1/4". Kraft also available in 500 yard spools.